This last Sunday was horrible. 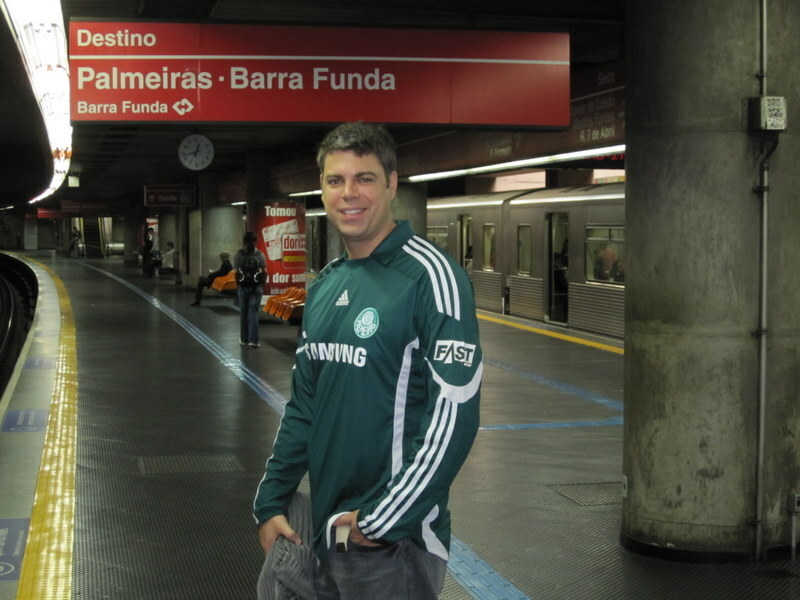 Palmeiras played badly, again. 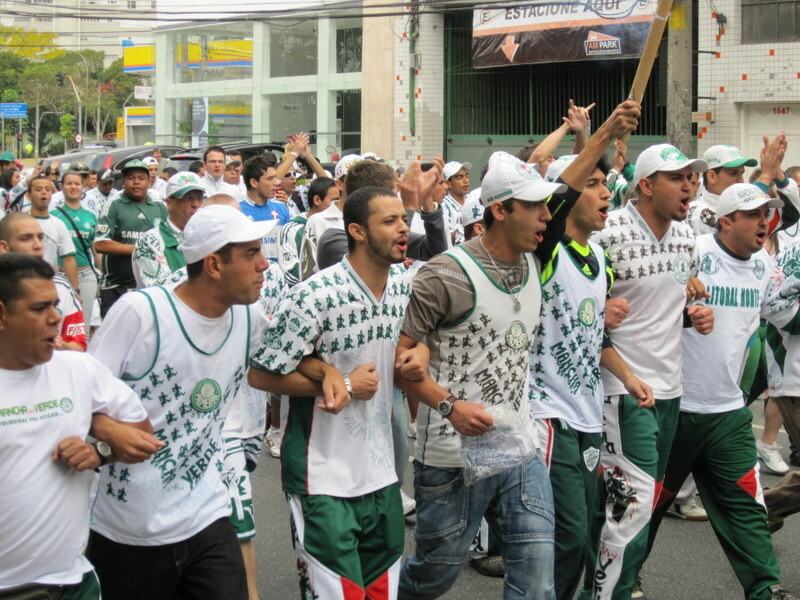 And not against any team, but against SPFC. It’s always painful to lose. 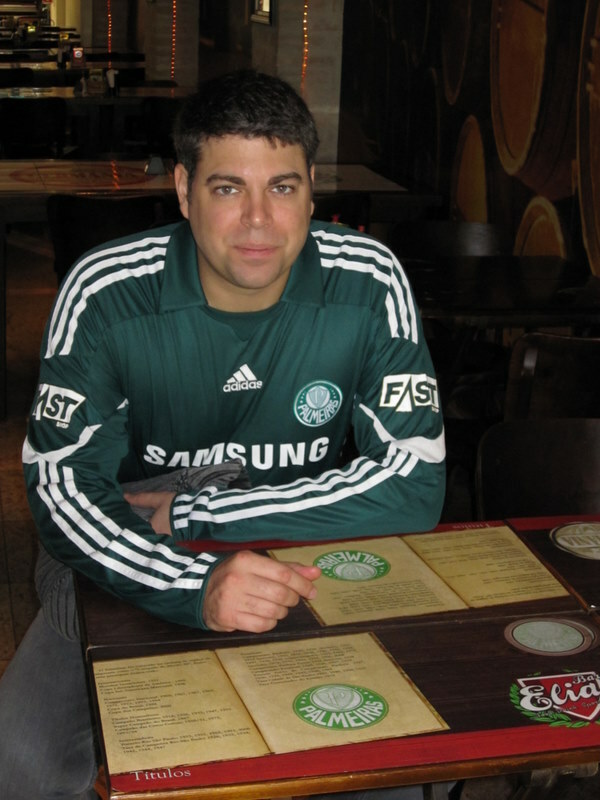 Against SPFC, it’s a tragedy. Watch the worst moments below. And more: Scolari was sent off already in the first half; the referee claimed that the Palmeiras coach threw insults at him while complaining that a wall set up by São Paulo players before a free kick was too close to the ball. Big Phil might very well face a temporary suspension due to the incident. Ewerthon injured his knee and will have to undergo surgery; it’s unlikely that we’ll see him on the pitch again this year. Valdivia was booked with a yellow card and misses Wednesday’s game against Grêmio Prudente. Marcos is still feeling his knee and no improvement is expected in the short term. However, Sunday was also marvelous. Pre-game, that is. The following might certainly not be a big deal for a São Paulo based palmeirense, but for this one, living in Brasilia, it was quite a treat. 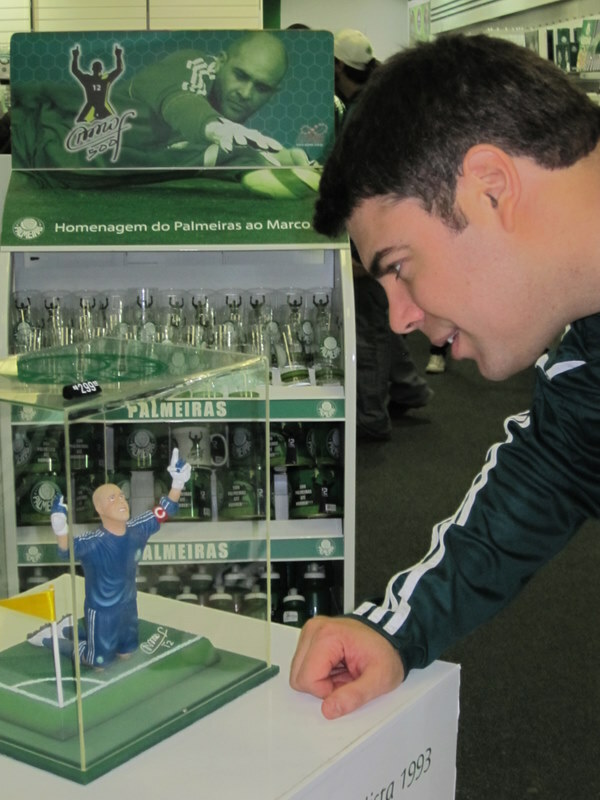 The early afternoon included a visit to Palmeiras’ official store at the Palestra Italia stadium; unexpectedly finding oneself in the very middle of the pre-game warming up of Palmeiras’ main supporter group, the Mancha Verde; and having lunch at the charming sports bar/restaurant Bar do Elias. Click the thumbnails for a better view of the afternoon. A big “thank you” to my lovely wife Cláudia, who made me company and snapped all the pictures!